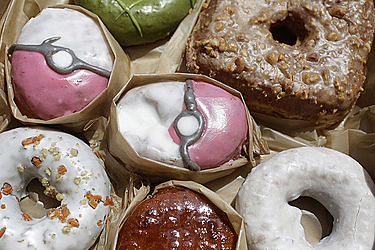 Pokemon doughnuts, exercise classes tap game's popularity. Weeks into the "Pokemon Go" craze, demand remains strong for "Poke Ball"-shaped treats made by a high-end doughnut company, one of many businesses and organizations coming up with creative ways to lure players in their search for the elusive "pocket monsters." Even on sweltering summer days, the popular smartphone game has gotten throngs of players out of their homes to real-world locations designated as "PokeStops" and "Gyms." Theme parks, bars and even a county animal shelter are among those trying to capitalize on that surge in foot traffic. In New York, Doughnut Plant created an edible version of the Poke Ball — dubbing it the Pokeseed — after a Pokemon-obsessed employee realized that all four of the company's shops are either PokeStops or very close to one, owner Mark Isreal said. And one location is an in-game Gym, making it a gathering place to both consume and virtually burn off calories. The team at Doughnut Plant designed the fruity treat in less than a day, using cranberry-raspberry and white chocolate icings to recreate the red-and-white Poke Balls, the objects used in the game to capture monsters. The Pokeseed is stuffed with a peach-strawberry cream filling, an imagining of Pokemon's mythical pecha berry. Pictures went out on social media the next morning, "and before they were delivered, people were already coming to the stores," Isreal said. Doughnut Plant has already sold thousands of Pokeseeds, and customers frequently post pictures of them on Instagram. They're still selling strong, so Doughnut Plant has no plan to take them off the menu any time soon. Meanwhile, a trendy food court near New York's Penn Station put up a sign urging passersby to catch a Pokemon instead of a train, while the city's parks department created "PokeFit" classes for kids to play while exercising. Earlier, the Busch Gardens theme park in Florida hosted a Pokemon "lure-a-thon," with some PokeStops accessible only by season-pass members for one hour. The Pawtucket Red Sox baseball team in Rhode Island invited fans onto the field to chase the virtual monsters. Police in Manchester, New Hampshire, even tried to lure fugitives by claiming to have detected a rare Charizard in the booking area. A Facebook post invited those on a list of "lucky ones" to capture the monster — the list happens to be filled with the city's most wanted. Andy Wong of Kurt Salmon Digital, which helps retailers connect digitally with consumers, said the game has worked well for small businesses, though there hasn't been a good way for larger companies with hundreds of stores to automate the "lures" they buy to attract digital monsters — and with them, players and potential customers. 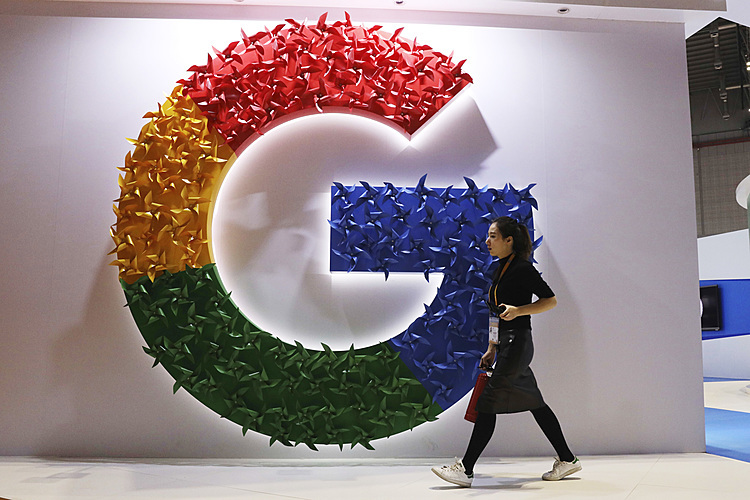 And even for small businesses, he said, the ability to draw customers may have diminished as the game loses its novelty. But those that caught the bug early saw tangible benefits. The Phoenix Zoo was a hotbed of Pokemon activity right after the game's release last month, even when temperatures climbed as high as 112 degrees. It helped that a Pokemon Gym was housed in the zoo's conveniently air conditioned orangutan house. After noticing that some visitors were on the hunt for more than just traditional zoo creatures, the zoo opened an hour early at 6 a.m. for a week during what's usually a slow time of year. The zoo also converted its train into a "PokeShuttle" that pointed out PokeStops along with its animal exhibits. On the first day of the promotion, attendance more than doubled from a week earlier, and sign-ups for new memberships spiked, said zoo spokeswoman Kerri Baumann. "It has snowballed in the most exciting and fun way," she said. Given the popularity, zoo officials are considering having additional Pokemon-themed activities, she said. Other furry creatures have benefited, too. The Wake County Animal Center in Raleigh, North Carolina, said its Pokemon-themed social media posts prompted about 25 applications for volunteer dog walkers, about four times what it usually gets. "If people are getting out and walking, why not come out here and walk the dogs and catch some Pokemon?" said Jennifer Federico, Wake County's animal services director. "It's fun and it gets people out." The shelter also named dogs and cats after Pokemon characters in hopes of giving animals that may get overlooked a second chance at adoption, she said. Bars and restaurants are getting in on the action as well, both through numerous Pokemon-themed bar crawls around the country and by taking advantage of nearby stops and gyms on their own. Because street art accounts for a substantial number of PokeStops, especially in big cities, the Tyron Public House bar and restaurant in New York has seen a slight bump in business, thanks to a large mural outside. Some patrons have paid for lures to attract more Pokemon; others return the favor by buying them drinks. "It's kind of fun to see people playing and say, 'Here you go. Enjoy,'" Tyron manager Errol Flynn said. "For us, it's not so much about organized events as much as it is about keeping up with social and what's going on in the neighborhood."